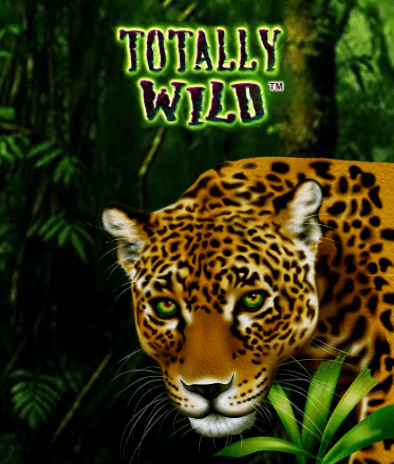 Set out to the jungle for 1000x your stake, Free Games and exotic fun on Totally Wild Slot. Get your boots on players –To the jungle! Join a group of exotic animals deep in the jungle for a wild time spinning reels. Totally wild is a 5-reel and 20-pay line online slot with a simple gameplay but interesting gamble feature. Place your bets for £0.2 to £40 and have fun with the jungle animals. Please check out our list of best online casinos to play this and other wild online slots. If you are used to playing on fixed paylines, you will love how you can switch between paylines in Totally Wild. The paylines are not fixed and you can select the number of paylines you wish to bet on from 1 to 20. Yes, there are many online slots with the jungle theme but Totally Wild stands out in its own way. With every rumbling spin past exotic animals and lush trees, you stand to win 25 extra games. Find indigenous animal high-paying symbols including a frog, spider monkeys, toucan birds and jaguars. Traditional card numbers with green vines and leaves are the low-value symbols. Win more everytime you land the cascading waterfall which serves as both the scatter symbol and the wild. The waterfall is also the highest-value symbol, giving you up to 100x your stake for 5 of a kind. All the four exotic animal wilds come with exciting prizes. Hit 5 scatter symbols on the reels for more free spins. The jaguar is the highest-paying animal – get 5 on a payline and earn up to 50x your total stake. Deck 5 frogs or toucan birds and get a whopping 25x multiplier. With this game, it is possible to win over and over again. Test your luck on Totally Wild for double wins in the gamble feature. Every time you land a winning combination, you can either accept your wins or gamble them for a chance to double. If you choose to gamble, you will have to guess the colour of a playing card. You choose either black or red. Activate the wild spins whenever you land 3, 4 or 5 scatter symbols anywhere on the reels. For this, you get between 10 and 25 free spins. Even better – there are 4 wilds! During Free Spins, the jaguar, the frog, the spider monkey and the toucan bird all act as wilds. The four animal symbols can substitute all other symbols to form winning combinations on the reels. Gouge out into the jungle and explore your inner fierceness. There is a lot of explosive features in Totally Wild – bright graphics, varied bet-range, flexible paylines and a gamble feature. Venture into the jungle for the 25 free spins, 4 wild symbols and a chance to double your wins. Jump on an online casino and play this slot – whenever you are in the mood for a high variance, an arcade soundtrack, sounds of chirping birds and a clock that ticks whenever you win.